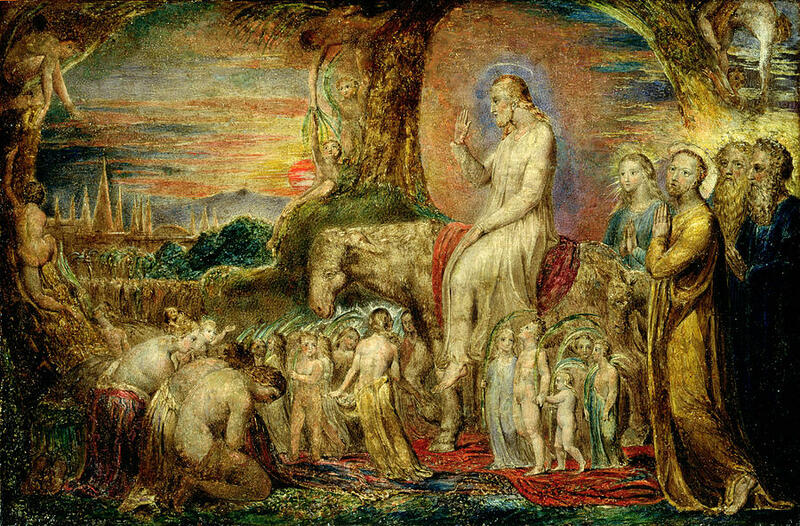 Christ's Entry Into Jerusalem is a painting by William Blake, 1800. And the multitude said, This is Jesus the prophet of Nazareth of Galilee." On Palm Sunday we are reminded that, just as Jesus entered the East Gate of Jerusalem, offering himself resolutely, we must offer ourselves, with perfect consciousness and free will, to enter triumphant and victorious through the gates of the Celestial Jerusalem. Samael Aun Weor, Yes There is Hell; Yes There is evil; Yes There is Karma. Tabor, James. The Jesus Dynasty: The Hidden History of Jesus, His Royal Family, and the Birth of Christianity. 2007.